Ronald McDonald Houses – Located in Philadelphia (on Chestnut Street and Front Street & Erie Avenue), Camden, NJ, and Wilmington, Del., our four local Houses provide a home-away-from-home for the families of seriously ill children receiving treatment at nearby hospitals. The annual Phone Bank is the largest fundraising activity for the Houses in our region. Your efforts will help the thousands of families who stay at the local Houses each year. Ronald McDonald Family Rooms®, which offer a place of refuge to families in the hospital where their child is staying because of illness or injury. Our Ronald McDonald Family Rooms are located in the following 13 area hospitals: AtlantiCare Medical Center – City Division Atlantic City, NJ; AtlantiCare Medical Center – Mainland Division Pomona, NJ; Bayhealth Medical Center – Kent General Hospital – Dover, DE; Capital Health System – Trenton, NJ; The Children’s Hospital of Philadelphia (two rooms) – Philadelphia, PA; Christiana Care Health System at Christiana Hospital – Wilmington, DE; Cooper University Hospital – Camden, NJ; Kennedy University Hospitals (two rooms) – Washington Township, NJ; Nemours/Alfred I. duPont Hospital for Children – Wilmington, DE; Shore Medical Center – Somers Point, NJ; Inspira Medical Center – Vineland, NJ; Virtua Health (two rooms) – Voorhees, NJ; Virtua Memorial Hospital – Mt. Holly, NJ. The Ronald McDonald Care Mobile® operated by St. Christopher’s Foundation for Children which delivers diagnostic, preventative and restorative dental care at no cost to qualified children, aged three to eight. Children qualify for the program if their families are unable to find a Medicaid provider or cannot afford to pay for dental services. RMHC Scholarship Programs, which award up to $130,000 in college scholarships to area graduating seniors. 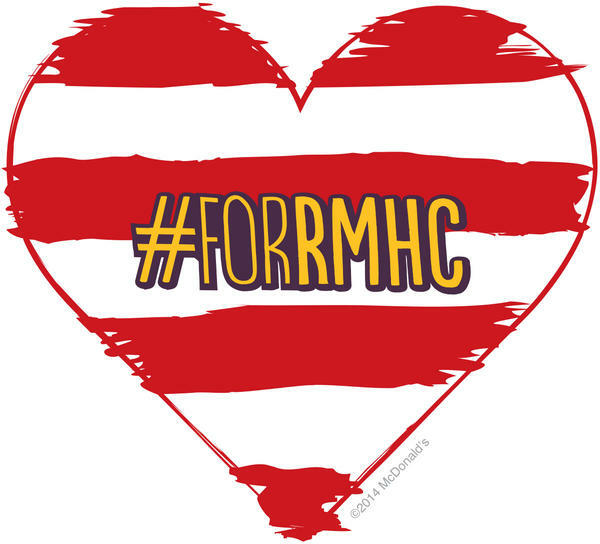 RMHC Grants Program – RMHC of the Philadelphia Region, Inc. grants hundreds of thousands of dollars per year to support non- profit programs that directly improve the health and well-being of children. Grant applications are reviewed each spring and fall for funding consideration. As you can see – your donation supports MANY amazing initiatives right here in our region! 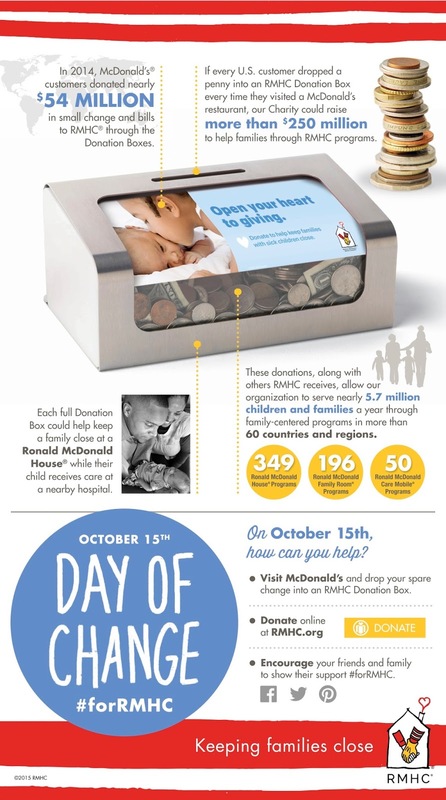 Join me in supporting RMHC Day of Change today and donate your spare change.